Jammu and Kashmir has witnessed a lot of initiatives in sports in recent time and now, in another major development, Maulana Azad Stadium in Jammu is likely to host international cricket matches soon. The stadium, situated in the heart of the city, is being upgraded according to the International Cricket Council (ICC) norms to make it eligible to host global-level matches. 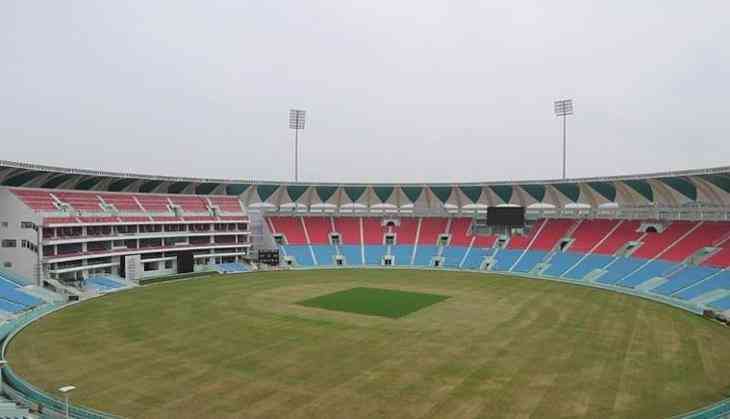 Jammu and Kashmir Sports Council's Secretary Naseem Javaid Chowdhary, said that an ICC-compliant stadium is being constructed, which would have all the modern day facilities. When finished, the stadium will have a well-established pavilion, gymnasium, conference hall, open VIP area, media and player zones, and galleries according to the ICC standards. "Maulana Azad Stadium in Jammu, which is the main stadium, was primarily used for state and district level matches. It did not match the standards of international level cricket. This prompted us to upgrade the stadium and provide all the modern facilities as per ICC norms," Chowdhary told ANI. Hoping to host international matches soon, the secretary said that the stadium will be prepared by the end of March and afterwards, it will be fully available to conduct Indian Premier League matches. The board of Control for Cricket in India (BCCI) can also conduct matches here, he added. "International matches will be played as this is ICC compliant stadium. We can conduct IPL, ODI and Test matches. The stadium will be prepared by March end. Earlier, we made football stadium in Kashmir and conducted I-League matches there. So we are hopeful that international cricket matches will also be played here. BCCI can also conduct international matches here," he said. Local players have expressed delight over the development saying that it will raise the standard of the game in the state. One of the players, Ishan Bali, said, "Sports Council did a good work. They are making international-level ground. Foreign coaches will come, players will come. We will get a lot to learn. This is a very good step by the sports council. Earlier, people used to go outside to watch matches. Now, we will play them here only." Young cricketer Ritvik is happy because he thinks that now there will be more participation of state cricketers at national and international level. "Earlier, we used to play in Dharamshala. Now, we will have an international stadium in our state. More and more players from Jammu will now participate at national and international level. Not many players from Jammu have represented India. But this will change now," Ritvik said. READ NEXT >> Uri actress Yami Gautam exudes Indian royalty on this magazine cover!